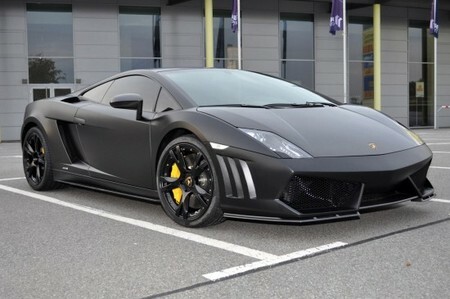 ENCO Exclusive, a prestigious tuner in Germany, has revealed their new carbon-crazed Lamborghini Gallardo LP 560-4. In this package the tuner extends the use of carbon fiber to the car’s exterior and replaces some of the body parts with carbon ones. This way, it looks much cooler and also becomes considerably lighter. ENCO offers carbon hood, GT3 front bumper with a splitter, rear bumper with a new diffuser, side skirts, boot cover, rear spoiler,mirrors and boot lid vents all made of carbon fiber, as well as a new carbon fiber trim for the interior. And to wrap things up, they cover the body in matt black foil. Apart from the styling, ENCO also offers a power increase program for the Gallardo. With this package the car’s 5.2 liter V10 engine will be upgraded from 560 hp to 620 hp and 575 Nm of torque.